At Abraham Lincoln High School, we offer a wide range of opportunities for students to engage their passion and make progress towards the college or career path of their dreams. Which path will you choose? Concurrent enrollment — More than 40 sections of concurrent enrollment classes that earn college credit. This gives high school students a taste of college and can provide significant savings to families. Learn more. Career exploration — Through CareerConnect classes and work-based learning, students can gain valuable experience and even earn money while determining whether a career is a good fit. Learn more. Denver Scholarship Foundation — Created to inspire and empower Denver Public Schools’ students to enroll in college, the foundation provides the tools, knowledge and financial resources essential for success. Learn more. EdConnect — This program was created in partnership with the University of Colorado Denver to introduce students to careers in education and community involvement. Learn more. JROTC — Students learn character education, student achievement, health and wellness, leadership and diversity through the Army Junior Reserve Officers’ Training Corps. It also helps prepare students for college and career. Learn more. Seal of Biliteracy — In today’s competitive job market, the ability to speak, read and write in more than one language can set you apart from the crowd. DPS developed the Seal of Biliteracy to honor students who have attained high level skills in both English and another language. Learn more. Spanish minor — Students have an opportunity to complete a college minor in Spanish while enrolled at ALHS. This can be a great way for students to earn college credits for native Spanish fluency. Learn more. 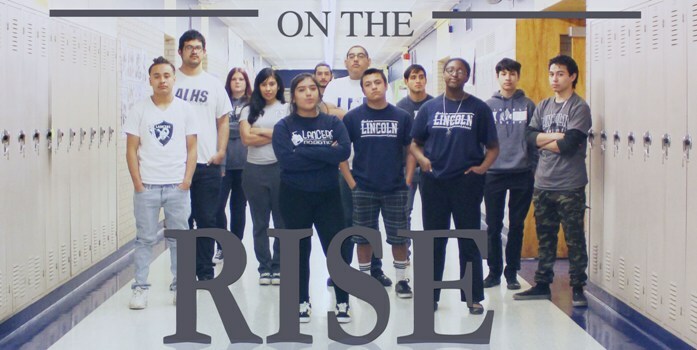 At ALHS, we foster an environment of high expectations that will empower students to become responsible citizens, achieve their goals, and reach their fullest potential for career and college readiness in every class, every day. Which is your path, and how can we help you succeed?